A lawsuit filed against the Texas Windstorm Insurance Association claims the agency is cheating Texans who suffered catastrophic losses during Hurricane Harvey. ROCKPORT, Texas — In the town where Hurricane Harvey first slammed the Texas Coast, some homeowners say there were dealt another blow that has left them displaced nearly a year after the historic storm. “Why would you buy insurance from a company that has no intentions of paying you?” said 74-year-old Walter Abbott. Abbott bought insurance for his waterfront property from the only place that offers it: the Texas Windstorm Insurance Association, or TWIA. The agency was created by the Texas Legislature in 1971 to provide wind and hail coverage when no private companies will. Harvey packed quite the punch when it hit the Abbott home last August. 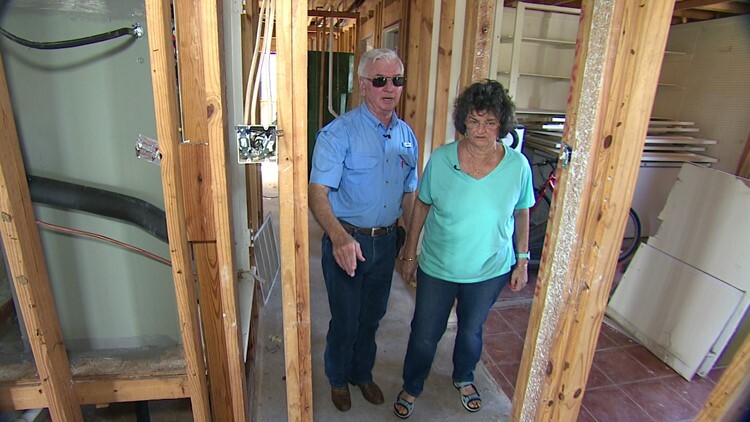 Walter and Kathy Abbott had wind and hail coverage through the Texas Windstorm Insurance Association, but when Hurricane Harvey hit Rockport last August and severely damaged their home, they say they received only $46,000 for repairs. “The roof came off and the wind blew all the water in,” said Abbott’s wife, Kathy. Hurricane-force winds ripped off a large chunk of the roof. Heavy rains ravaged the inside. The garage didn’t stand a chance. 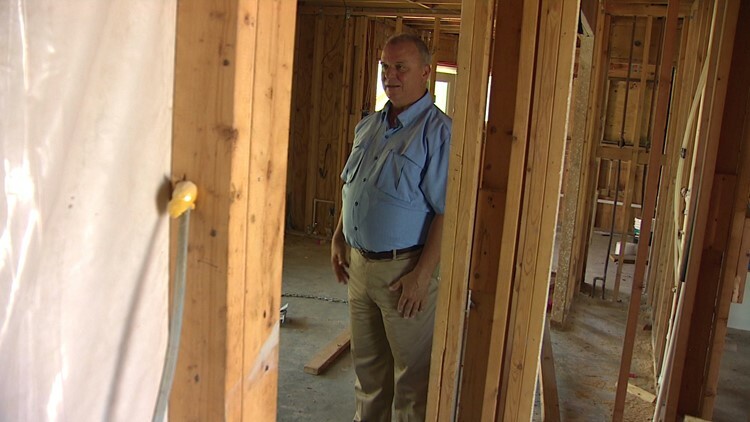 When an adjuster for TWIA inspected their home and concluded it needed a “complete gut and remodel” and “the cost would exceed the policy limits” of $236,000, the Abbotts thought at least they were covered. “They sent me a check for $46,000,” Walter Abbott said. The payment from TWIA months after they filed their claim was for a fraction of the initial adjuster’s recommendation. “It was not even close; it was a laugh,” Kathy Abbott quipped. It left the couple baffled and enraged. “What the hell are you doing?” Walter Abbott said. Records show what TWIA did was ignore its field adjuster. Instead, the agency sent out a “building consultant” for a second opinion. That opinion was to slash the payment of the claim. It’s not the first time the insurer of last resort in Texas has done so. Just down the road in Rockport is Joey Park’s waterfront home. Park’s claim on the home, which TWIA’s initial adjuster called “not repairable” and a “total loss,” was reduced from a policy limit of nearly $300,000 down to just $168,000. Nearly a year after Hurricane Harvey hit Rockport, Joey Park's home is left without walls, floors or fixtures. “They didn’t seem to care. He was trying to cut the price of this claim,” Park said, adding that no contractor would be able to rebuild for that low amount. Nearly a year later, his waterfront home is left without walls, floors or fixtures. It sits down to the studs. “It’s disappointing to say the least,” Park said. 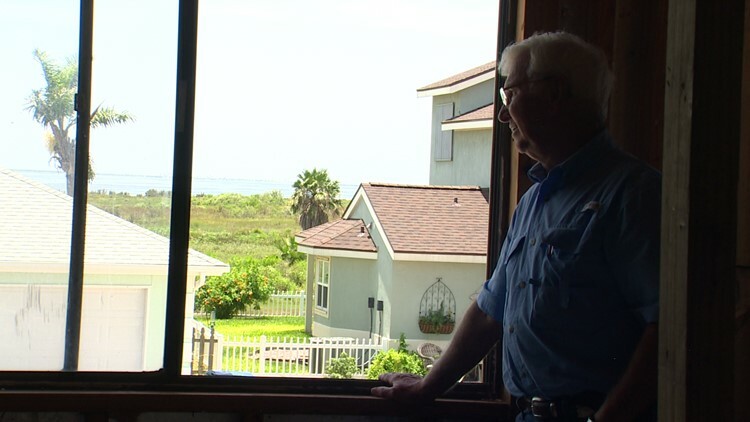 Attorneys John Black and Rick Daly are suing TWIA on behalf of Park, the Abbott family and scores of other coastal Texas homeowners. “It’s infuriating, it’s a total scam, it’s a cheat on Texans,” Black said. Daly described the building consultants as “hired guns” by TWIA to write up low-ball estimates when policyholders suffered a large loss. “The building consultants have one job and one job only, and that is to write an estimate that is as low as they can possible put on paper with a straight face,” Daly said. As part of their lawsuit, the attorneys took a deposition of a claims supervisor contracted by TWIA. That supervisor testified in 80 percent of Harvey claims initially deemed a total loss, a building consultant later wrote an estimate for a much lower payment. When Walter Abbott learned that his Harvey claim was a fraction of the initial recommendation, his first response was, "What the hell are you doing?" A TWIA spokesperson maintained that building consultants are only used to gather facts about the loss and provide an independent evaluation about repairs. “In no way, shape or form do we use building consultants to low-ball estimates,” said Jennifer Armstrong, TWIA vice president of communications and legislative affairs. Armstrong said TWIA’s number one focus has been—and continues to be—fully paying policyholder claims as quickly as possible. “We’re committed to every dollar that we owe under the policy,” she said. Since June 30, TWIA said it has received more than 76,000 Harvey claims and issued more than $1.13 billion in claim payments. Armstrong said only 3,200 claims, or approximately 4 percent, have been disputed. TWIA said it cannot comment on individual cases because of privacy concerns and pending litigation. But the Abbott’s message to the agency is loud and clear. “It’s just unbelievable that somebody could be so disrespectful to other human beings,” Kathy Abbott said. Follow Jeremy Rogalski on Twitter.